“The initiative to hold debates came as an attempt to support the Russian issue on the official agenda of the PACE. On Thursday morning, November 23, a meeting of the PACE Bureau will take place in Copenhagen, where the expediency of such debates will be considered,” the diplomat informed. According to Kuleba, representatives of the Ukrainian delegation will have the opportunity to influence the situation. 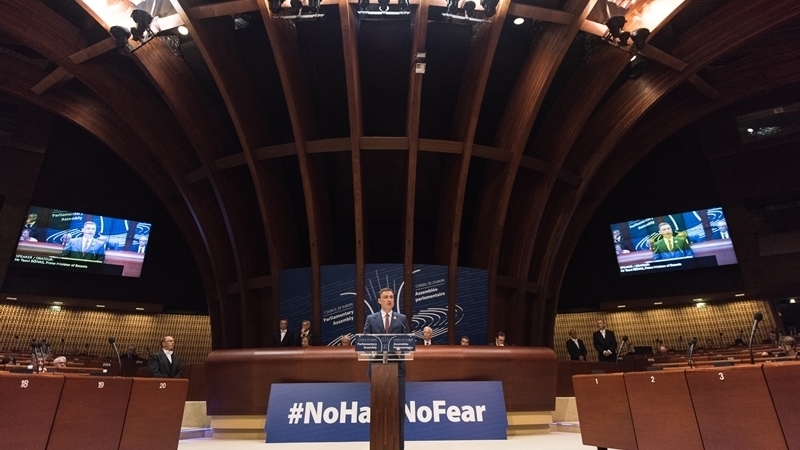 "Ukrainian deputies and our supporters are among the members of the Parliamentary Assembly of the Council of Europe, so I have no doubt that they will have the opportunity to speak up for the principles and values of the Council of Europe, which will be undermined in the event of Russia's unconditional return to the PACE," the Permanent Representative stressed. As you know, November 24, in Copenhagen the PACE Standing Committee will discuss the possibility of holding the debates. Earlier, Stella Kyriakides, the President of the Parliamentary Assembly of the Council of Europe urged the Russian Federation to abolish the ban of the Mejlis of the Crimean Tatar People.